Jake was not paid to endorse this product, but he would like to be. Jake, Windy and Hope received some treats they really like. Grandma Lucy’s Organic Oven Baked Dog Treats look like little teddy bears and smell delicious. Yes, delicious. The blueberry ones smell like Pop Tarts. The bags are 14 ounces, and I also have the ginger ones. I have not shopped for them, so I cannot mention a price. I have not tried one. I don’t want to deprive my pack. At this rate, I suspect Jake will hide the box of Milk Bones. 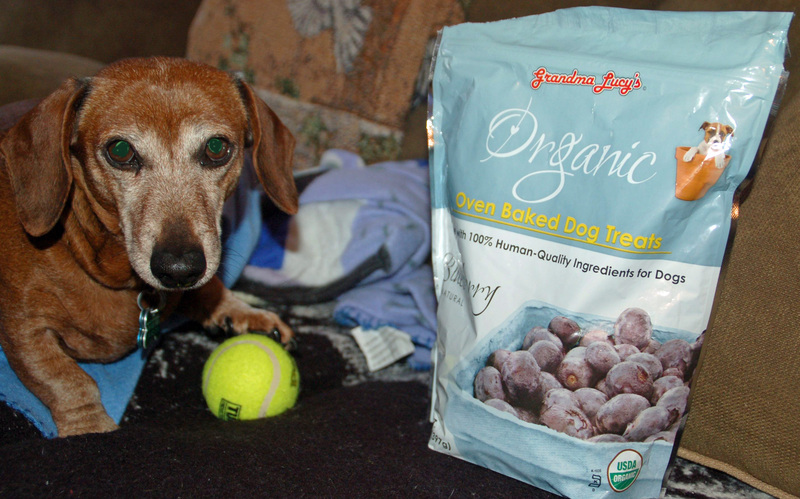 This entry was posted in Dachshunds, Dog Treats, Schnauzers and tagged Dachshunds, dog treats, Grandma Lucy’s Organic Oven Baked Dog Treats, Schnauzers. Bookmark the permalink.